You recycle your cans and bottles, you’ve replaced plastic bags with reusable totes, and you’ve switched to fluorescent light bulbs. While you do your part to become an eco-friendly household, there’s one family member who isn’t pulling her weight — and that’s your cat. Luckily, it’s easy for kitty to go green without radically altering her lifestyle. 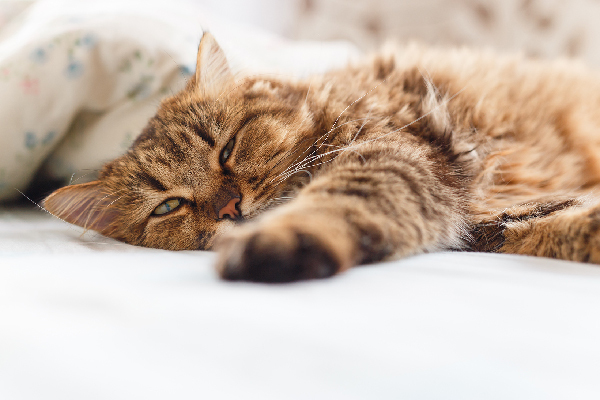 Here are some simple tips to reduce your cat’s carbon pawprint. 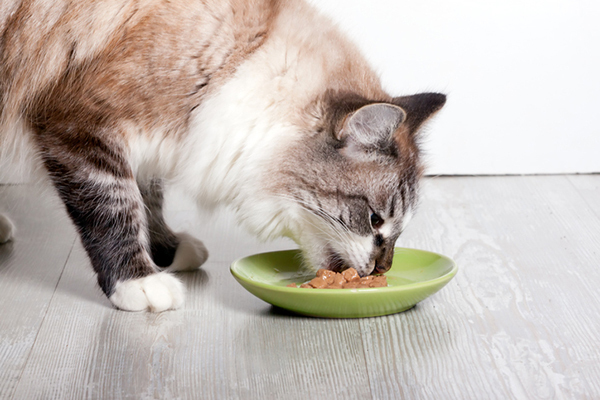 One easy way to go green with your cat’s food is to pick chicken flavors over beef. Photography ©RooIvan | Thinkstock. Green: When it comes to cat food, it’s easy to go green without even switching brands. You can help Kitty be more eco-friendly by favoring certain cat food flavors over others. According to John Robbins, author of The Food Revolution, it takes significantly more resources in terms of land and water to produce one pound of beef as compared to a pound of chicken. So, when you’re at the store staring at the shelf and trying to decide which of the 15 flavors to pick, consider the ones that are lower down in the food chain. Choose chicken over beef. Look for seafood that is sustainably harvested, such as sardines or mackerel instead of tuna. Greener: If you and your cat are ready to make an earth-friendly choice that can significantly improve the health of the planet, switch to a cat food made from organic ingredients. Certified organic foods are produced without synthetic pesticides or genetically modified ingredients, and the organic farming process helps to preserve the integrity of the land and water. To truly be green, the majority of ingredients in the cat food should be locally sourced and processed. To find out if they are, contact the manufacturer by calling the toll-free number on the package. Choose a greener litter, like one made from renewable or recycled materials. Photography by Absolutimages/istock. Green: To cut down on waste, don’t use disposable liners or litter boxes, even if they’re biodegradable. 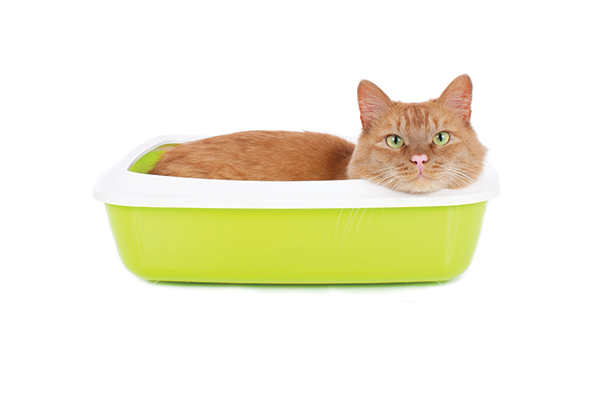 You can keep your cat’s box fresh with daily scooping and washing it regularly with mild soap and some water. When you do need to replace the litter box, look for one made from recycled plastic. Greener: Transition Kitty to an eco-friendly litter composed of renewable or recycled materials. These include litters made from corn, wheat, old newspapers and pine. 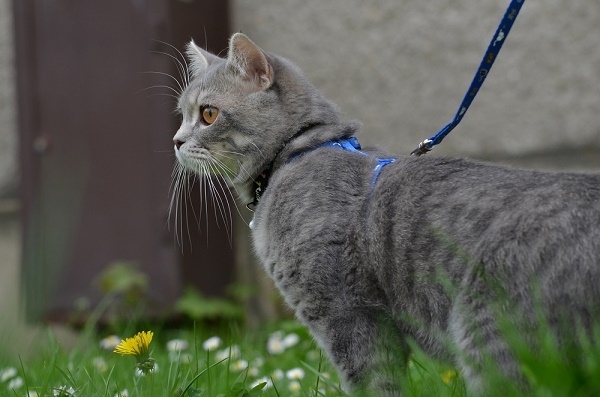 If you want to eliminate the use of cat litter entirely, you can buy a kit to toilet train your cat, but only do this if it is safe to flush cat waste in your municipality. 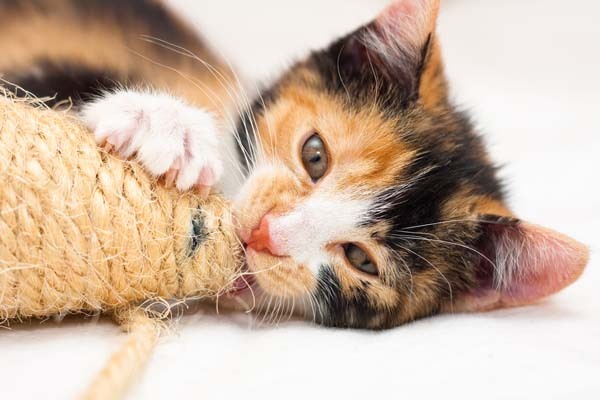 Use cat toys made from natural materials and organic catnip. Photography by Xseon | Shutterstock. Green: Buy toys that are made from natural materials and filled with organic catnip. To reduce waste, choose quality over quantity and choose toys that you’re sure Kitty will enjoy. Cats are notoriously finicky, so if you buy something that you’re not sure your cat will like, chances are she’ll turn her nose up to it. Greener: With a little creativity, you can make your own cat toys by visiting your recycling box. Toilet paper rolls can be cut into rings or short tubes for playing catch. Junk mail can be crumpled into paw-sized balls that are fun to bat across the floor. Extend the life of your cat’s scratching post. Photography © marima-design | Thinkstock. Green: Extend the life of your cat’s scratching post by vacuuming it regularly and routinely trimming loose threads. You can also try using cat scratchers made from recycled corrugated cardboard, which have the added benefit of being recyclable once they’re worn out. 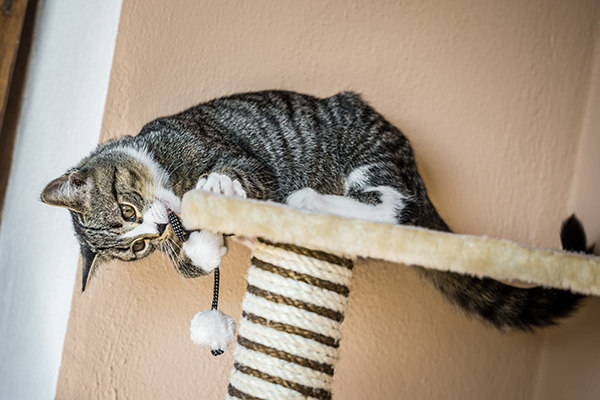 Greener: For a fun afternoon project, recarpet your cat’s scratching post when it’s worn out. You’ll help save the environment and save yourself some money too. Carpet remnants can be purchased for a few dollars from a carpet store and you’ll only need some basic tools to remove and replace the old carpet. If you’re not feeling handy, a simpler alternative would be to wrap the post with sisal rope. Instructions for recarpeting a cat post are easily found online. 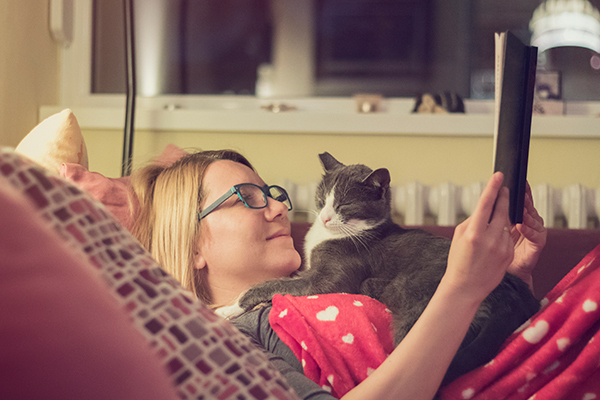 Once your cat has settled into her new earth-friendly routine, share your newfound knowledge and experience with fellow cat lovers. Greening the entire planet can start with just one cat, so take the first step today toward reducing your cat’s carbon pawprint. Tell us: How are you and your cat going green this Earth Month? Thumbnail: Photography by Dreidos / Shutterstock. About the Author: Holly Tse is a green cat expert and also the author of Make Your Own Cat Toys: Saving The Planet One Cat Toy At A Time. 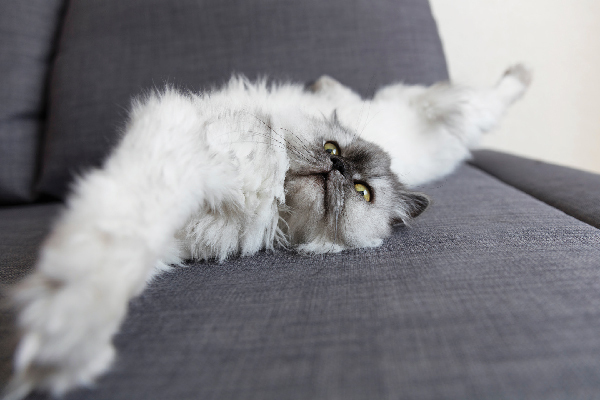 Her blog, Green Little Cat, shares eco-friendly tips and ideas for cats and cat lovers. Nice post. Thanks for the tips it’s very helpful to me as my sister has bought a kitten and I can share it with her so that she can keep the environment eco-friendly. I strongly doubt the choice of cat food flavour makes a significant difference. Here in the UK (and I expect it to be the same in any other country because the same companies dominate the industry worldwide) the named flavour is 4% of the content. The rest is mystery stuff (which is animal protein, vegetable protein or a mix of both). It’s enough that the stuff smells like the named flavour to you, and might even make a little difference to the actual taste (feel free to perform the experiment). Basically, the pet food manufacturers bulk it out with whatever is cheapest. Popular demand for human food will drive that expense, to some extent, because of economies of scale. It might be worth buying your cat actual chicken rather than actual beef. But if you buy tinned stuff it’s not going to make much difference which flavour you buy because that’s only 4% of it. BTW, does your cat love those chewy meat sticks? Looking at a typical supermarket own-brand I see 16% liver and 16% chicken in the chicken & liver flavour. Same percentages in salmon & trout and lamb & turkey. Compared to 4% named flavour in tinned food. Which explains a lot.